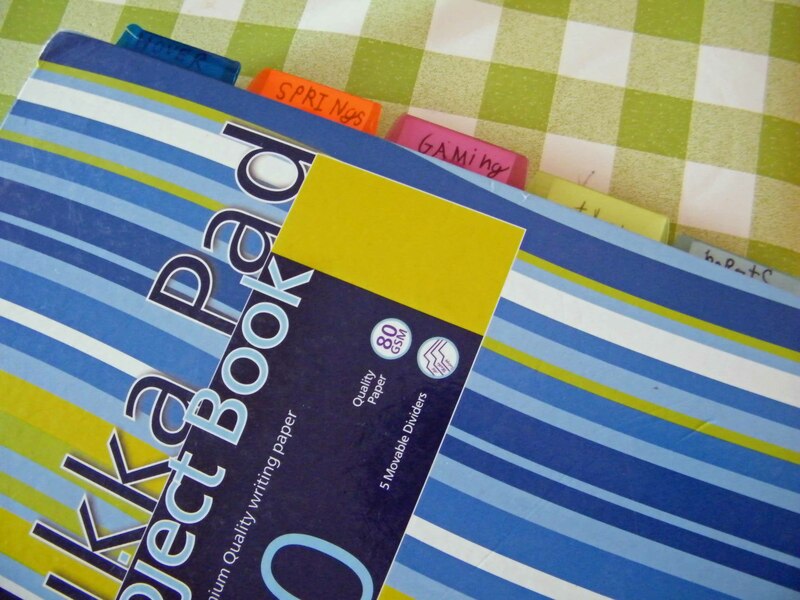 When my son started to show signs of an inventive and imaginative mind, I invested in a 250 page Pukka Pad Project Book and told him to start writing everything down, no matter how short the paragraph or how spectacular the idea, everything should be put down on paper. Being an avid diary and journal keeper myself, I thought it all the more important to keep records of all his childish whims and dreams, so he quickly labelled the dividers with titles including ‘hover’, ‘springs’ and ‘robots’ to name but three and his first idea of a hover board soon filled one section. Then came a pair of spring boots and a game console. They were all fabulous ideas that fired his imagination and lead to many other interesting concepts and it also meant he was having to improve his handwriting so I could actually read his missives. I encouraged and spurred him on even when some of his notions were beyond current technology. But it was his most recent idea that really grabbed my full attention because it was not only a brilliant idea but the technology it needed exists. As with most children, the moment I suggested there was merit in his idea, that was it…. it was a done deal and the pestering began. But it really was a good idea so I couldn’t be too irritated by his pester power. So I agreed to find someone who might be able to take it one step further and thanked goodness and Kismet for my close link with a web designer who knows just about everyone in every trade. With his Jack Russell tenacity, my son kept on with his verbal nipping, reminding me as often as he could to make the appointment. Thus with my motherly warning ringing in his ears, we parents all know the mantra…. “don’t be disappointed if….. just be prepared for….. etc” we set off to meet an engineer who knew a thing or two about electronics. My first set of instructions – “address him as Mr Webb and shake his hand” – were dutifully (and dare I say surprisingly) obeyed. Then I let my son have the floor and with very few interjections from me, he managed to explain in succinct terms and in his own words, just what he wanted to achieve. He was faced with an adult he had never met before, in an alien environment and all attention was on him; a scenario that would turn many adults into a nervous wreck let alone a child, but he held it together and spoke clearly, confidently and was politely assertive when putting across his opinion. He later told me he had the worst butterflies of his life! The engineer has said he thinks the idea is possible and commercially viable and the next stage is to work out how much it will cost to produce a working prototype. But having jumped the first and highest hurdle, the rest of the course will be plain sailing; well until we meet the big multi national toy manufacturers. But my guess is they will be putty in his hands and at 12 years and one month old perhaps I have the next great industrialist on my hands. Who knows, but of one thing I am sure, this morning I spent just over half an hour feeling immensely proud of my son and I hope his experience will be the start of bigger and better things in the future. As a parent, it is not always easy to do the right thing for your children and very often you only know if it is right or wrong long after the event. But there is one aspect of parenting we can all be certain about, encouragement and enthusiasm is free and if we all plant one seed of positive faith with the courage of our conviction into our child’s mind, then keep it fed and watered with love, affection and passion, who knows what will emerge…. another Einstein, Picasso or Shakespeare. The mighty Oak really did start off as a tiny acorn. This entry was posted in Family life and tagged ambition, children, encourage, genius, parent, teaching. Bookmark the permalink.